Halloween is just a few days away, but Disney Parks candy shops are already full of sweet goodies created just to celebrate this spooky season. 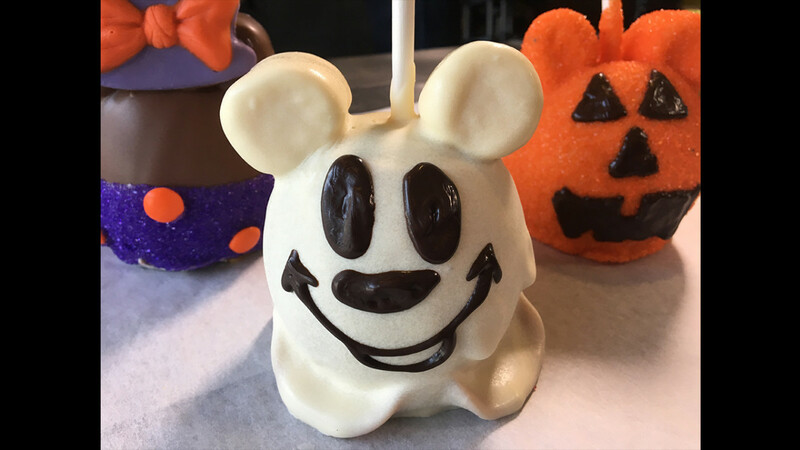 We recently stopped by the Candy Cauldron at Disney Springs to get some step-by-step directions on how you can make their ‘Ghost Mickey’ Candy Apple, one of the shop’s most popular seasonal treats. To create this treat you’ll need: Granny Smith apples, caramel, marshmallows, white chocolate, a touch of dark chocolate, and just about 15 mins of time. Check out the video above for step-by-step directions on making this ghostly treat.